By definition, fibromyalgia is a condition that results in sensitivity flare-ups of pain, affecting women more than men. 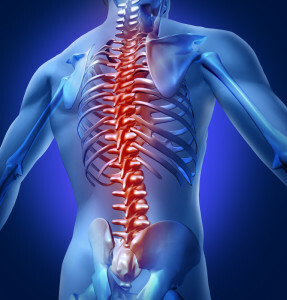 There is no known cause for fibromyalgia but published research indicates that the condition is inflammatory in nature, resulting in pain and that is often widespread through the body’s musculoskeletal system. Magill’s Medical Guide, 2008, indicates that fibromyalgia is a chronic condition, yet spontaneous in occurrence. The condition is recurrent and often affects a person’s sleep patterns, resulting in significant fatigue during the day. What Are the Common Causes of Fibromyalgia? It is difficult to pinpoint the cause of fibromyalgia. Ongoing research for decades continues, but with little development in understanding what causes the condition. Extensive research conducted by the American College of Rheumatology has helped to initiate guidelines for doctors and pain specialists for diagnosing and treating the condition. While unconfirmed, the medical community speculates that the condition may be triggered by a variety of causes. The causes are poorly understood but chronic inflammation may be a probable factor and contributor of the condition. Many patients with fibromyalgia report that the symptoms gradually worsen throughout the day with the most severe pain and associated symptoms experienced in the late afternoon or evening. Symptoms may worsen when emotional factors and stress are involved. Changes in weather and extreme outdoor temperatures may also contribute to the development of symptoms. With no defined cause, fibromyalgia may be difficult to diagnose; however experienced pain specialists who understand the complications of fibromyalgia can assess the problem and make a definitive diagnosis based on a variety of factors. Guidelines for diagnosing the condition have been established by the American College of Rheumatology. Doctors assess the medical history and pinpoint symptoms that have occurred for a minimum of three months. 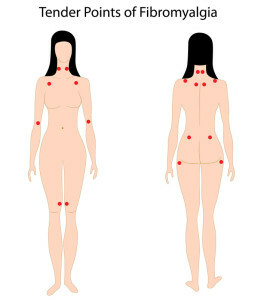 Painful points of tenderness and other symptoms on the body are known as trigger points. It is these trigger points that the pain specialist examines in order to diagnose fibromyalgia. If there are 11-18 different areas on the body affected by pain and other symptoms, and the condition has been affecting the individual for at least three months, fibromyalgia may be the cause. 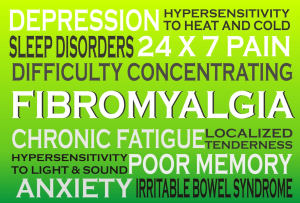 What are the Treatments of Fibromyalgia? In both male and female patients with fibromyalgia, alternative therapy has proven to be highly effective in the success of treatment. The most effective therapy for fibromyalgia involves a combination of treatment. Physical therapy, acupuncture, trigger point injections and TENS unit treatment are all highly effective in reducing pain and other symptoms associated with fibromyalgia. In 2005, the Mayo Clinic published information regarding the most effective treatment for this condition. Information provided included a comprehensive combined therapy program that utilized medication, physical therapy, acupuncture, relaxation therapy, massage therapy and stretching exercises. Medication therapy includes antidepressants, membrane stabilizers (e.g. Lyrica), acetaminophen, muscle relaxers, opiates and sleep aids to help control insomnia. 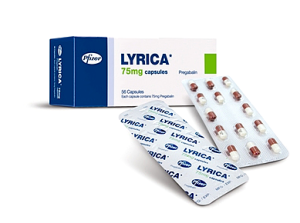 Medication, when combined with other forms of treatment, offers significant pain relief and keeps symptoms of fibromyalgia diminished. 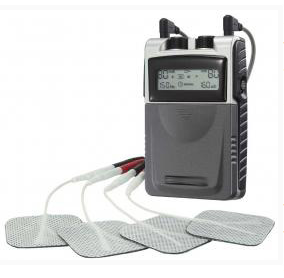 A Tens Unit may help for focal areas of increased pain. Poor sleep patterns may contribute to increased pain and discomfort. When a patient is unable to sleep or restless at night, symptoms may become exacerbated the following day. It is important with fibromyalgia patients with chronic pain to treat the symptoms while providing the best possible sleep methods available. Medication to assist with sleeping is helpful. While there is no known cure for fibromyalgia, treatment is highly effective in managing the pain. If you have been diagnosed with fibromyalgia, it is important to see a pain specialist right away to help prevent the symptoms from worsening. Women with minor to moderate symptoms report favorable results from physical therapy and medication treatment when treatment is sought after early. As time goes on and treatment is not received, the condition can worsen to the point of severe debilitation and an inability to live a quality life. Pain control is necessary for fibromyalgia. If you have questions concerning your fibromyalgia treatment plan, consult with your doctor today to see what will work best for you. If you or a loved one is suffering from chronic pain and suspected fibromyalgia, let Fort Myers pain management help you. Simply fill out the form on the page or call (239) 288-0072 for assistance today!